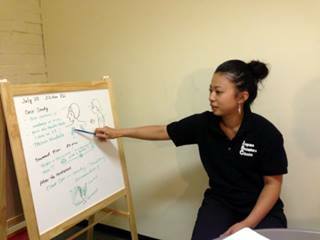 September 7th, 2013, Continuing Professional Education Program, Jikiden-kai was held at Yaletown Clinic. Case study: "Treatment for Shoulder join"
Canadian College of Shiatsu Therapy previous Shiatsu instructor Hiroaki Watanabe (Hiro) is back!! He has been practising Shiatsu & Seitai for 10 years. More than 10 members gathered to learn from him. He introduced his techniques combined with stretching. His style of Shiatsu was such an eye opener!! 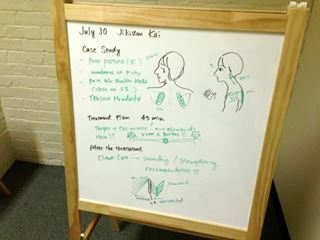 July 30th, 2013, Continuing Professional Education Program, Jikiden-kai was held at Yaletown Clinic. Case study: Treatment plan for clients who have poor posture and complain pain in the interscaplar region, numbness on pinky. Kana introduced her way of treatment. Kana expained what causes pain in those areas from Anatomical point of view. After the treatment, talked about what kind of Stretching & Strengthening you can recommend to clients. May 27th, 2013, Continuing Professional Education Program, Jikiden-kai was held at Yaletown Clinic. 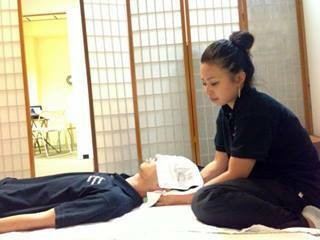 I, Yusuke, was the main speaker, and introduced Shiatsu treatment for the neck in supine position. First, I let the participants make sure the muscles and landmark of neck. And next, I demonstrated my treatment. After that, all participants took the time to practice Shiatsu each other. It was very impressive members practicing hard and they forgot the time. April 28th, 2013, Continuing Professional Education Program, Jikiden-kai was held at Canadian College of Shiatsu Therapy Main Campus. At first, the participants watched a video which is "Maternity Shiatsu" by Tetsuo Inaba, Shiatsumaster. After that, they shared their Shiatsu technique and knowledge for pregnancy. 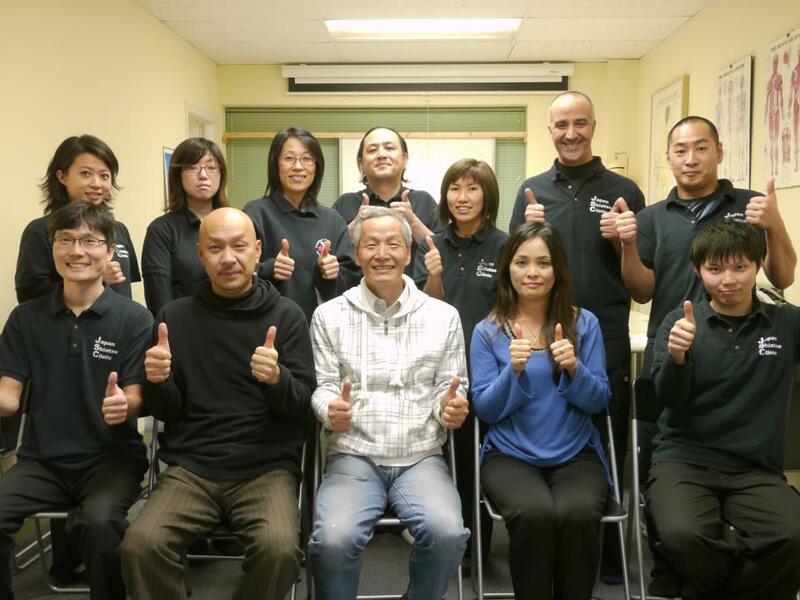 March 9th, 2013, Continuing Professional Education Program, Jikiden-kai was held at Canadian College of Shiatsu Therapy Main Campus. At first, I introduced how to see and treat lower back. In second, I introduced Tsubo (acupoints) work for back pain. At last, I answered questions from attendees. I hope my introduction help their treatment. 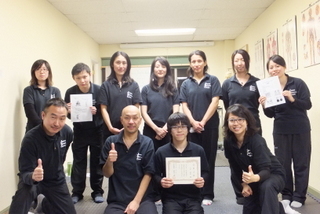 February 2nd and 23rd, 2013, Continuing Professional Education Program, Jikiden-kai was held at Canadian College of Shiatsu Therapy Main Campus. Japan Shiatsu Clinic had a great opportunity to hold the Continuing Professional Education with special guest speakers in February 2013. 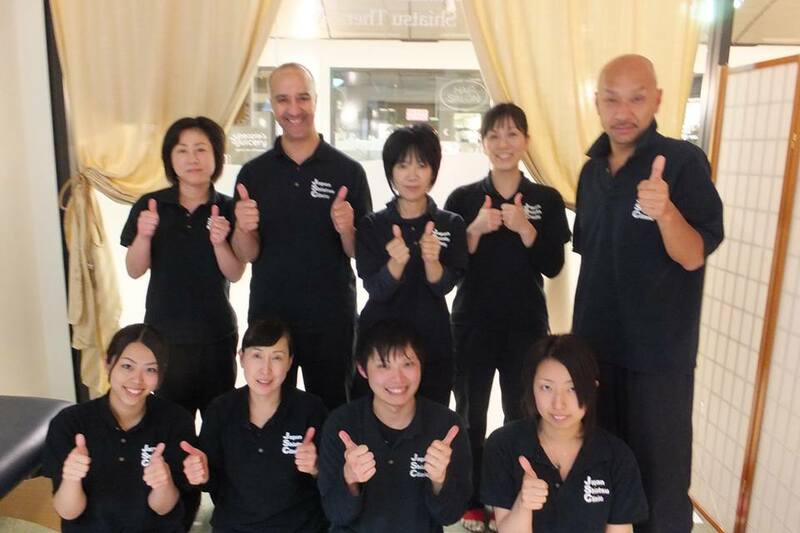 The first workshop was held with Toshihiro Miyawaki Sensei, Shiatsumaster, from Peru on February 2nd, 2013, and he sheared his Shiatsu experience in Peru. The second workshop was held with Junichi Kurosawa Sensei, Shiatsumaster and Head instructor of the teaching department at the Japan Shiatsu College, from Japan, and Hideo Asada Sensei, Shiatsumaseter and President of Mexico Shiatsu Society, from Mexico on February 23, 2013. Kurosawa Sensei lectured "Advanced Shiatsu treatment for lower back pain", and Asada Sensei lectured "Shiatsu treatment for knee problem". 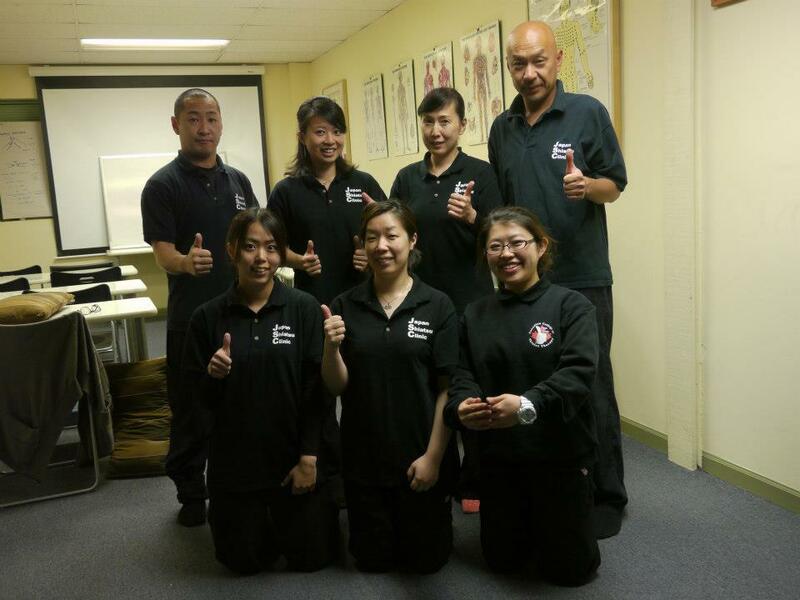 It was very precious time for JSC members to get improved their Shiatsu skill. It's worth to watch some picture and videos of the workshops from the below. Enjoy!! All participants of the workshop on February 23, 2013 with Kurosawa Sensei and Asada Sensei.